This was prompted by our recent trip to the State Fair, but it applies to anyone who labels their services accessible without considering whether or not they truly are. We were in line for the giant Ferris Wheel. My parents, sister, Namine, Namine’s cousin, and I were going to get on, and Jessica (the only sane one among us) was going to stay on the ground with Namine’s wheelchair. 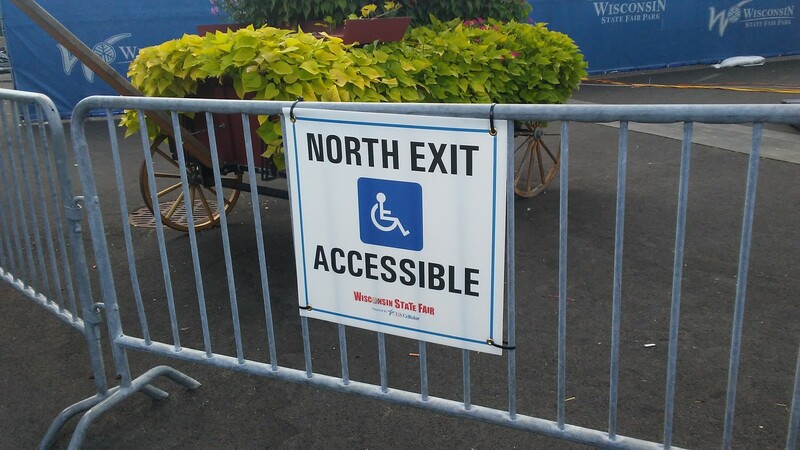 A State Fair employee informed us that there was a handicap accessible ramp to the Ferris Wheel around the back, so we followed him. "How am I supposed to get my wheelchair up that?" A good question. Rather than lift the wheelchair up onto the ramp, I just picked up Namine and carried her the rest of the way. It was a good thing I did, too, because halfway up the ramp, we discovered yet another wooden plank. This was accessible? Not a chance. It’s fortunate for Namine that I am able to carry her (in her wheelchair, no less) up and down stairs and other normally inaccessible places. But this is often not the case for people with special needs. What about adults? 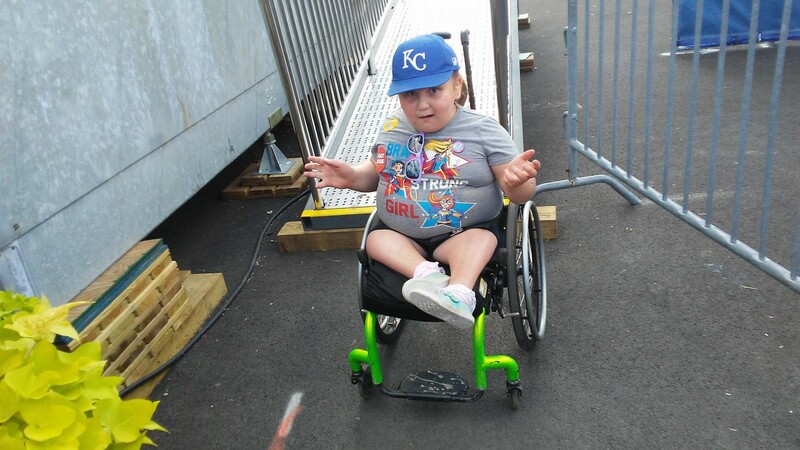 What about others, even children, in motorized wheelchairs? If Namine were to have one of those, there’s no way I’d be able to pick it up. I implore you: if your place isn’t accessible — whether because it’s an old enough place that the ADA doesn’t require you to modify it, or you simply don’t care — don’t say that it is. It either is or it isn’t, and a ramp with a step is most definitely not accessible. It’s not “almost.” It just isn’t. So please, use accessibility labels honestly.